Ep. 141. Matt Krogh, Extreme Oil Campaign Director with environmental advocacy group, “Stand dot Earth” on regional efforts to halt fossil fuel transportation, oil spills and how it’s all connected. And Josephina Mora of the Whatcom 3 on the trial and verdict. The three were arrested when protesting Donald Trump’s 2016 visit to Whatcom County. Click here to listen. Ep. 139. Long-time civil rights defenders, the legal team of Larry Hildes and Karen Weill have been defending immigrants, activists, targets of police harassment and others in need, often with little or no compensation. They discuss the DACA decision, the Facebook Bellingham NODAPL search warrant, and an FBI investigation targeting local environmental activists. Junga Subedar and Michelle Vendiola, representing Community to Community, Red Line Salish Sea and the Whatcom Civil Rights Project lead the show with a response to the decision to grant a search warrant to the Facebook page and the implications for our civil rights. Ep. 139. Marie Marchand and Laurie Maxwell, of National Alliance of Mental Illness (NAMI) Whatcom County. A deep, far-ranging dialog on the challenges, culture, funding and future of mental health. from a personal and advocacy perspective. Powerful show! Ep. 138. Special Guests. DACA recipient Jose-Manuel Carillo and Rosalinda Guillen, direct from WA AG Bob Ferguson’s press statement in Seattle. They talk about why DACA is important, and how the advocacy on the left might be getting it wrong. Attorney Mike Broadsky defended the Facebook page against the warrant. He talks about the case, why the warrant went forward and what happens next. Ep. 137. Darrell Hillaire from Children of the Setting Sun talks about Lummi Nation’s salmon state of emergency. 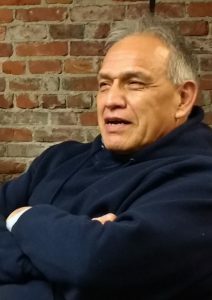 Rosalinda Guillen on Cuban detainee hunger strike at the Tacoma Detention Center and Satpal Sidhu on the upcoming Arch of Healing and Reconciliation ceremony. Extended interview with Community to Community’s Rosalinda Guillen: NWDC Cuban detainee hunger strike, an update on the workers fired from Sarbanand Farms andfactory farming and factory fishing in light of the Atlantic salmon crisis. Ep. 136. 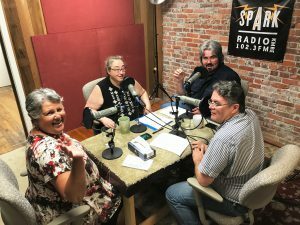 Extended Edition: Conversation with Mayor Kelli Linville on the name of the Pickett Bridge, recent Bellingham hate crimes, Camp Zapata and workers fired from Sarbanand, homelessness and more. Ep. 135 Honesto Silva Ibarra, R.I.P. Ep. 135. 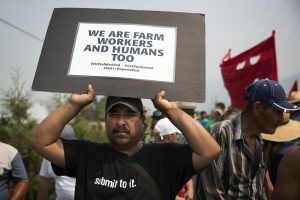 The death of 28 year old farmworker Honesto Silva Ibarra, and the worker walk-out at Sarbanand Farms. Citizen Journalist Liz Darrow speaks with Community to Community Development’s Edgar Franks and Rosalinda Guillen and Junga Subedar with the Whatcom Civil Rights Project and Racial Justice Coalition about their organizations’ responses to the 2017 Whatcom County Jail proposal.. Dave Willingham speaks with Congressman Rick Larsen. Edgar Franks, Rosalinda Guillen and Junga Subedar on Whatcom Jail Proposal. 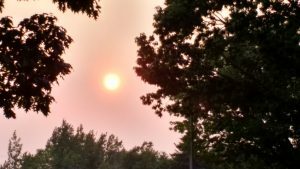 Whatcom and Bellingham primary results and why, continued state budget woes, BC fires and Whatcom skies. Episode 133: Hot Primary in the City. Ep. 132: Whatcom County Jail Moves Forward. 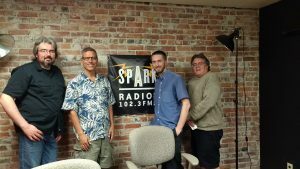 Former City/County Councilman Seth Fleetwood joins in the joins the group to discuss the city and county vote to move the Whatcom County Jail proposal forward. Also, Findings from the VERA Institute and Incarceration Prevention and Reduction Task Force on jail growth in the county, and Blocking the Capital Budget. Ep 131. County Council – race for District 2! We interview candidates Todd Donovan and Amy Glasser, both vying for progressive votes in the new North Bellingham District 2. Ep. 130 WA Leg Budget Woes – Hanging in the Balance. As Washington State veers toward a shut-down, we look why, what implications exist for us, and rant a bit about the whole thing.